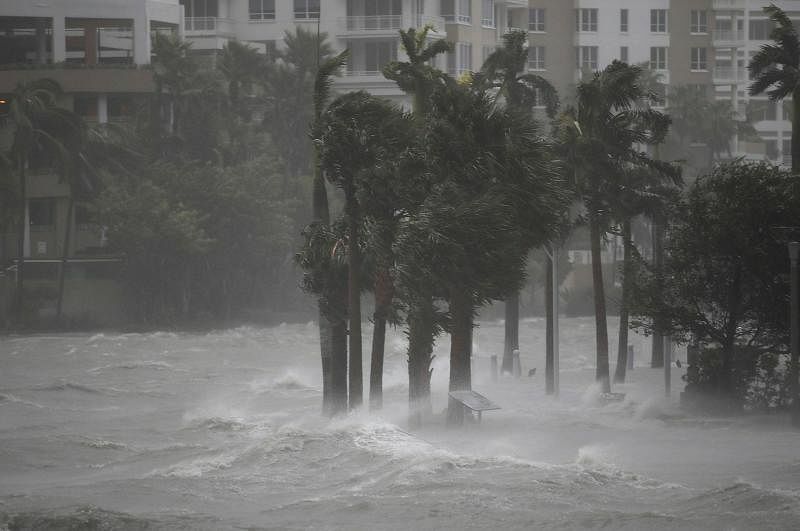 FLORIDA CITY/MARCO ISLAND, Florida (REUTERS) - Parts of the storm-ravaged Florida Keys will allow residents to return on Tuesday (Sept 12) to survey damage from Hurricane Irma, which devastated the state with high winds and storm surges that destroyed homes and left millions without power. The US aircraft carrier Abraham Lincoln has arrived off Florida’s east coast and two amphibious assault ships will arrive on Tuesday to help in the Keys, where Irma first made landfall on Sunday as a Category 4 hurricane. The military will distribute food and help evacuate 10,000 Keys residents who did not leave before the storm, the US Department of Defence said. Heather Carruthers, the Monroe County Commissioner, said people had been killed in the archipelago, where nearly 80,000 permanent residents live, apart from one already known fatality. She did not have a count on how many. “We are finding some remains,” she said in an interview with CNN. Video footage of the islands showed homes torn apart by sustained winds of up to 210kph, which left the Keys without electricity, running water and mobile phone service. Several major airports in Florida that halted passenger operations due to Irma will begin limited service on Tuesday, including Miami International, one of the nation’s busiest airports. Irma scrambled transport in the major tourist hub, leading to thousands of flight cancellations and one of the largest evocations in US history. Still, the scope of damage in Florida and neighbouring states paled in comparison with the utter devastation left by Irma as a Category 5 hurricane, the rare top end of the scale of hurricane intensity, in parts of the Caribbean, where the storm killed nearly 40 people – at least 10 of them in Cuba – before turning its fury on Florida. 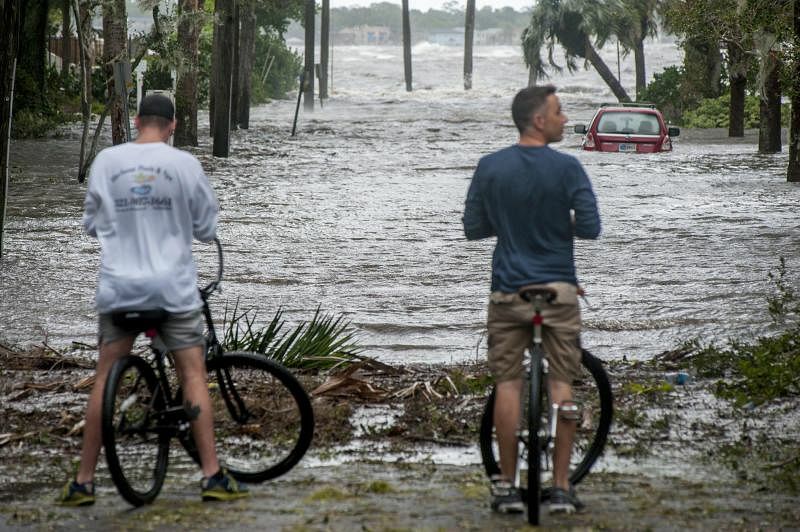 In South Carolina, the Charleston Harbor area saw major flooding on Monday with water about one metre above flood stage and minor flooding is forecast for Tuesday, the National Weather Service said. 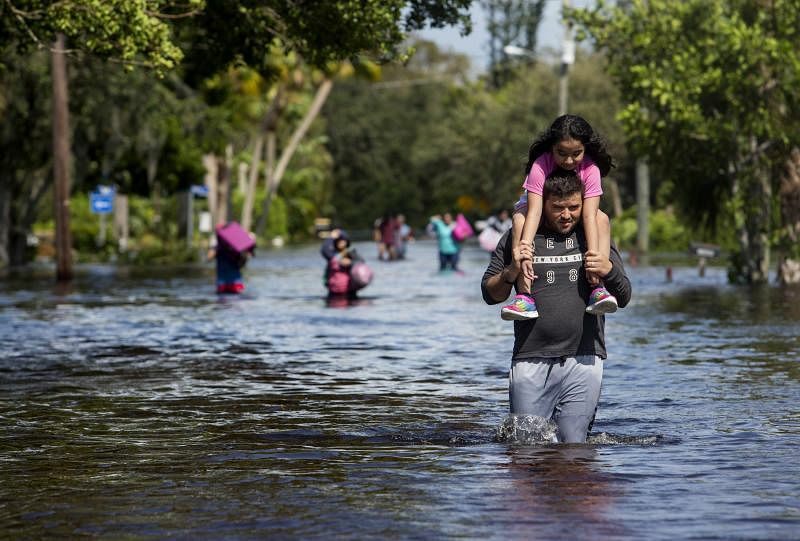 In Florida, 51 of 178 gauges in the state were at flood stages on Monday with some of the worst floods in Jacksonville, in the north-eastern part of the state, where the St. Johns and Cedar rivers hit record flood levels on Monday. The waters are forecast to recede on both rivers on Tuesday but still be above flood stages, the service said. Especially hard hit in the United States was the resort archipelago of the Keys, extending into the Gulf of Mexico from the tip of Florida’s peninsula and connected to the mainland by a single, narrow highway, Governor Rick Scott told a news conference on Monday. Monroe County would reopen road access on Tuesday morning at 7am local time for residents and business owners from Key Largo, the main island at the upper end of the chain, as well as the towns of Tavernier and Islamorada farther to the south, fire officials said. No timetable for reopening the remainder of the Keys was given. The Keys were largely evacuated before the storm struck and police established a checkpoint on Monday to keep displaced residents from returning while authorities worked to restore power, water, fuel supplies and medical service. One of the biggest lingering problems was widespread power outages, with utilities reporting some 7.4 million homes and businesses without electricity in Florida and neighbouring states. They said it could take weeks to fully restore service. Scott said 65 per cent of Florida, the third most populous US state with about 18.8 million people, was without power. Irma’s arrival in Florida came around two weeks after Hurricane Harvey claimed about 60 lives and caused property damage estimates as high as US$180 billion (S$241 billion) after pummeling the Gulf Coasts of Texas and Louisiana with heavy rains and severe flooding. Insured property losses in Florida from Irma are expected to run from US$20 billion to US$40 billion, catastrophe modeling firm AIR Worldwide estimated. That tally, lower than earlier forecasts of up to US$50 billion in insured losses, helped spur a relief rally on Wall Street as fears eased that Irma would cut into US economic growth. The storm claimed its first known US fatality over the weekend in the Keys – a man found dead in a pickup truck that had crashed into a tree in high winds. At least one other possibly storm-related fatal car crash was reported on Sunday in Orange County, Florida. On Monday, two people were killed by falling trees in two Atlanta suburbs, according to local authorities. No official death count has been released. The center of Irma moved into Alabama on Tuesday and will head into western Tennessee by Tuesday evening. It will likely dissipate from Tuesday evening, the National Hurricane Centre said.